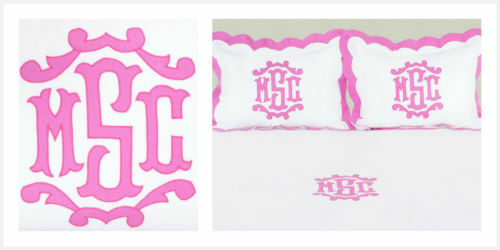 The custom Rayford monogram is a twist on our traditional Rayford applique design. The additional scallop motif resting on top sets this style apart. Shown with a contrast stitch this design is bound to make an impact.